Running short on time? I have the solution! 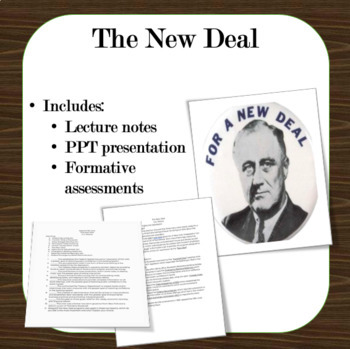 By purchasing this unit, you will have everything you need to teach about the New Deal and the changing culture of the 1930s. The lessons are broken down with lecture notes and a PPT that goes along with the notes with embedded videos. Feel free to modify. If you like this one check the others out in my store!